It’s often said that it takes a village to raise a child—but the same could be said about book babies, as well. And in the three years since Anne & Henry debuted, I’ve amassed quite an impressive and humbling “village” of supporters and friends. It’s thanks to two of these people that I’m able to launch an exciting pre-order campaign for LIZZIE, which goes on sale April 10. 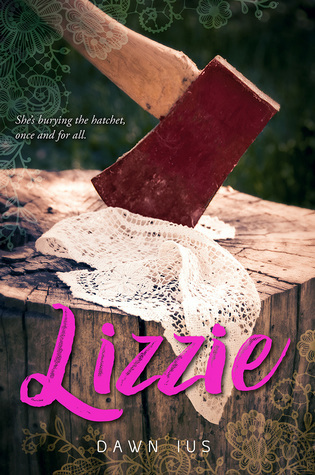 LIZZIE is a modern young adult re-telling of the Lizzie Borden hatchet murders, and perhaps the book I am most proud of to date. It wasn’t easy to write—several themes are covered that shroud this story in darkness, and I often found myself slipping into that chilling space. But from that dark came several beautiful things—most notably, the stunning artwork created for my SWAG items by the talented writer and artist (and dear friend), Kate Cosgrove. To see which of these beautiful items I’m giving away as part of my pre-order campaign—as well as get the deets on an awesome Lizzie-inspired prize pack—please visit one of the awesome blogs on my pre-order campaign tour, which was set up by blogger extraordinaire (and amazing friend) Kathy Coe. Click the links to be directed to the participating blogs! Thank you for taking part ~ I’m so excited to share LIZZIE with YOU! 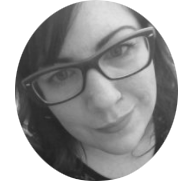 When not slaying fictional monsters, Dawn can be found geeking out over fairy tales, Jack Bauer, Halloween, muscle cars, and all things that go bump in the night. Dawn lives in Alberta, Canada with her husband and their two giant breed dogs.